As my season winds down (my final descent from the mountain will occur on September 10), others' just begins. A barrage of new faces have ascended the peak, all accompanied with the fresh excitement that all field biologists feel when beginning a new job working with wild critters. The hawk watch crew arrived first, psyched to begin counting all the migrating raptors that use the ridgelines to travel southward. 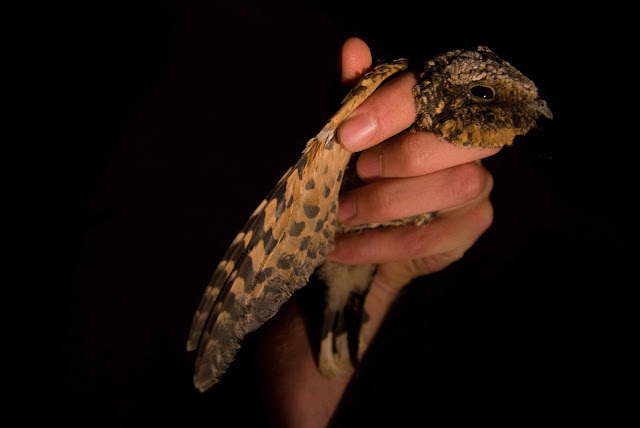 Two days ago, less than ten raptors were counted. The following day, the counts jumped into the 40's. Let the migration begin! Next, the owl crew showed up, struggling to adjust their sleeping schedule to survive the long nights. 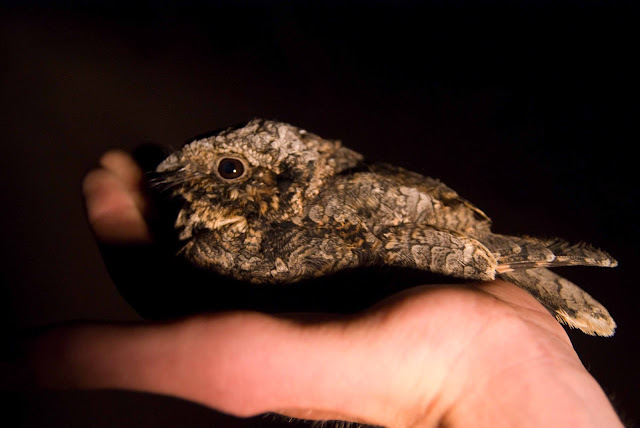 "The first night [Sept 28] of Owl trapping resulted in one sleepy Common Poorwill (not so common to see in the owl nets!) and one angry Flying Squirrel! no owls yet" from IBO's facebook update. Alongside the raptor counting and owl banding, hawk trapping has commenced. 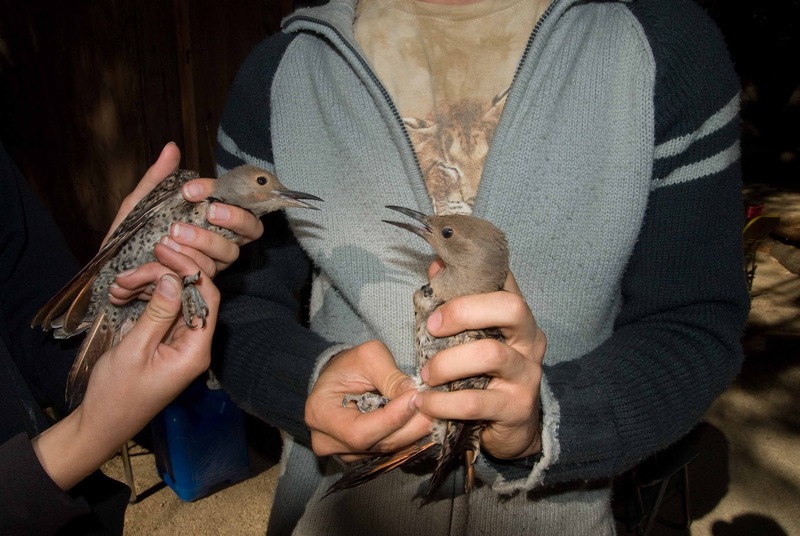 A skilled trapper and bander hidden in a blind; puppeted lure birds to attract the in-flight, migrating predators; a series of different traps set to snare them...providing for a very intriguing operation and allowing for some very up-close encounters with raptors. I hope to dedicate a post to it before I leave, but don't hang your hat on it. 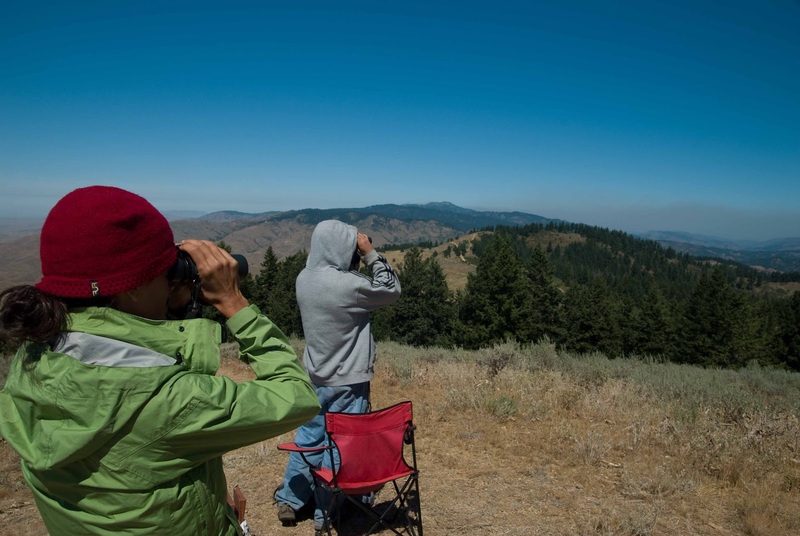 Hawkwatch International migration counters (Sarah and Ian) on the tippy-top of the peak, scanning for 'dem birds. Am wondering if you have been hearing poorwills. I love to hear their call interrupt the silence. Maybe early in the season, but we no longer hear them. It's the same with all the other species too, everyone has stopped singing, making identification very difficult when only a chip note is heard!